Named after the classic American cocktail, Sazerac is a relaxed fit cardigan with great details. Knit-in pockets, set-in cuffed sleeves, and a generous knit-in shawl collar. Body is knit in one piece to the armholes, and then split for fronts and back. Shown in Lorna’s Laces Sportmate in colorway “Spats”. 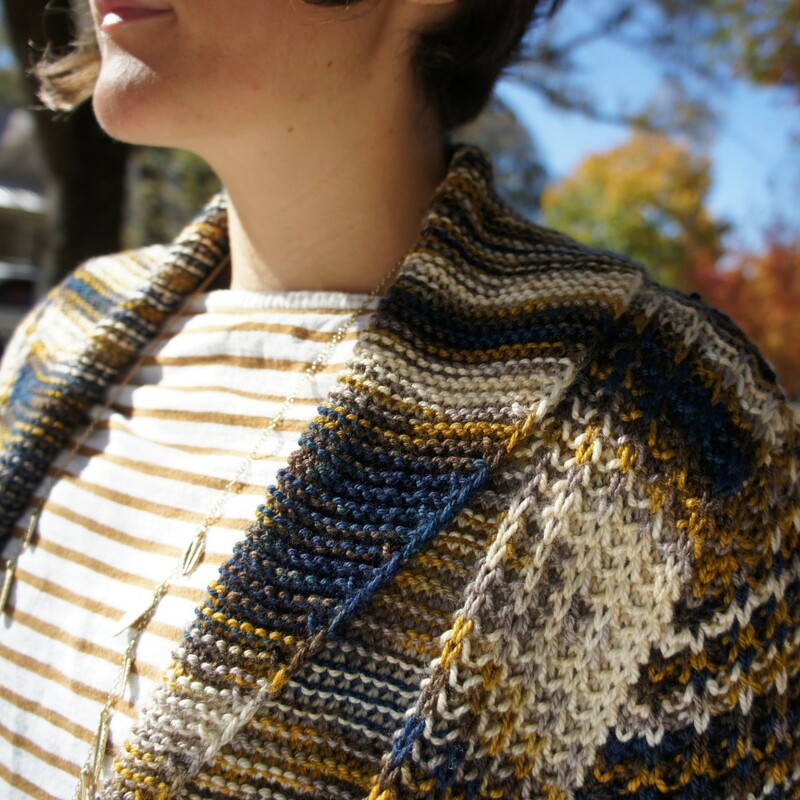 Sazerac uses a simple brioche variation combined with garter stitch, which work beautifully with multi-color yarns as well as solids. 32 1/4 (36, 39 1/2, 44 1/4, 48, 52 3/4, 56 1/4)” bust circumference. Choose a size that allows for 2-4” of positive ease. 1600 (1800, 2000, 2200, 2400, 2600, 2900) yards sportweight yarn. 20 sts and 40 rows = 4” in Garter Stitch and Garter Brioche Stitch, after blocking. 32” circular US size 5 (3.75mm), body and edgings. stitch markers in at least two colors, scrap yarn, tapestry needle, blocking supplies. Sazerac is knit flat in one piece to the armholes, then split for fronts and back. Sleeves are knit flat and seamed in place.